The Winner of the 2018 Homebound Publications Poetry Prize is Burt Bradley for his collection After Following. About the Winning Manuscript: After Following is a collection of poems inspired by what the author Burt Bradley describes as poet whisperers: from Rumi to Kerouac, Ecclesiastes to Philip Levine, Emily Dickinson to Mary Oliver. These writers and numerous others’ lives and work serve as guides in shaping the poet’s ways of seeing and reflecting upon wildness in the world. Often this is expressed in poems depicting the severe beauty of Wyoming as well as the wide-open spaces of the inner life. To speak of wildness, following Gary Snyder, is to speak of wholeness, in which hierarchies of value evaporate as well as the separation between the sacred and profane. So, sagebrush becomes the inspiration for a Zen sutra, an old man smoking a cigar is a meditation, a` la Wallace Stevens, on space and time, and following Rumi is to encounter the Beloved in the incessant Wyoming wind. 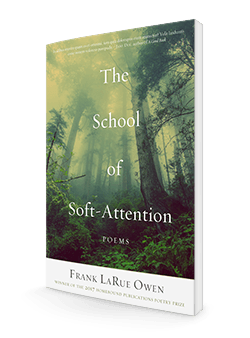 The poems in After Following pay homage to a host of literary mentors, at times directly as in “A Belated Letter to James Wright,” “Postcard to William Stafford,” and to David Citino’s poetic persona, “Letter to Sister Appassionata on Darkness and Light”. Other poems are more elusive, like “Rain, A Wyoming Love Song” (after T.S. Eliot) and “A Long Way from Amherst” (following Emily Dickinson). 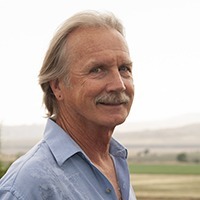 About the Author: Burt Bradley has published poetry, fiction, and non-fiction. His writing has appeared in Ring of Fire: Writers of the Yellowstone Region, Michigan Quarterly Review, Best of Writers at Work, among others. A story, “Damn Eugene, 1933,” was awarded The Loft’s National Prize in Fiction in 1996. A couple of essays received national recognition (First Place, 2006 Devil’s Tower National Park Essay Competition; Runner-up, 2001 Campbell Corner, Sara Lawrence College). He teaches “writing in the wild” classes in Yellowstone National Park and the Southwest Desert at Northwest College in Powell, Wyoming. Look for the publication of After Following in April 2019. This year we received a record number of submissions, which made our task of choosing a winner even more difficult than usual. Thank you to everyone who submitted! The 2019 Homebound Publications Poetry Prize will kick off on August 15th.